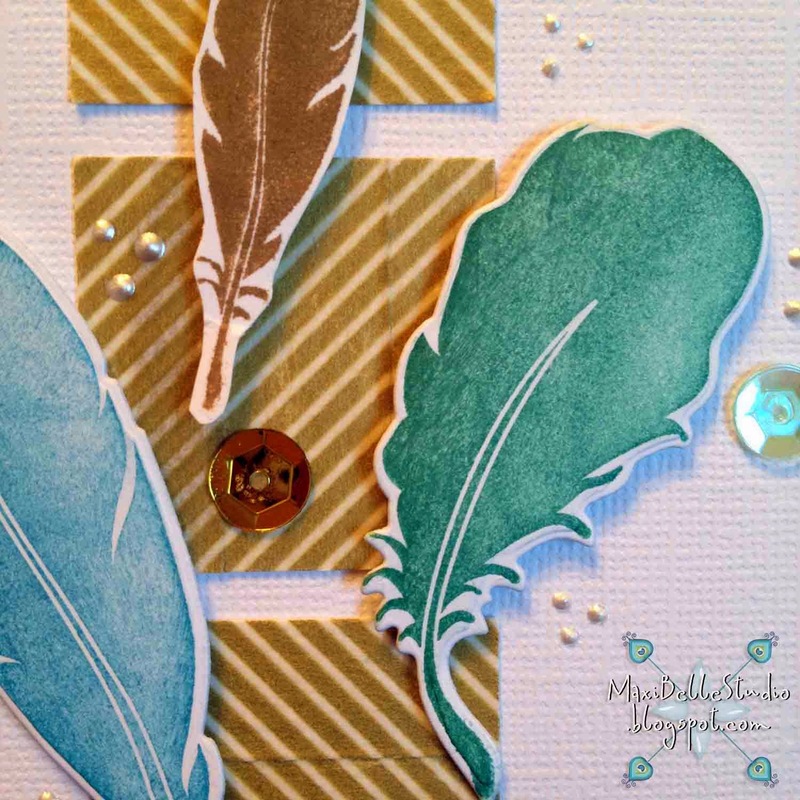 Today I'm showcasing this gorgeous Taylored Expressions Light as a Feather stamp and die set. 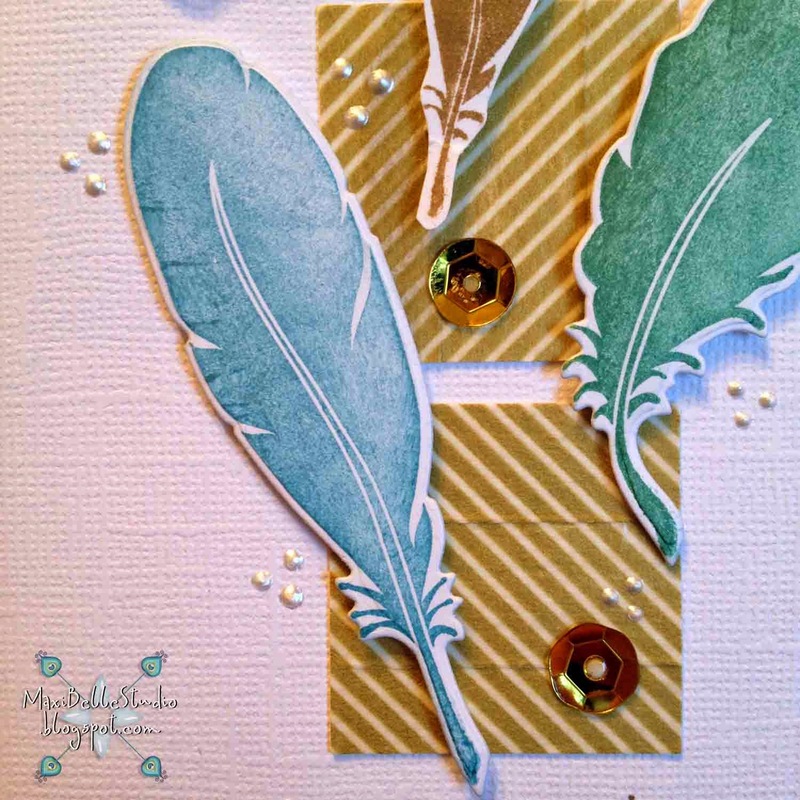 This set comes with three sentiments, three different sized feathers plus two different feather dies. I've kept my card clean and simple to let the stamps and sentiment take center stage. I lined up some gold striped washi tape stripes next to each other and cut three squares using Spellbinders Classic Squares for the base of my card. I then stamped each of the three feather stamps in different colours and die cut the two largest ones, then fussy cut the smallest feather. Here are a couple of photos of the two larger die cut feathers, and the sentiment. 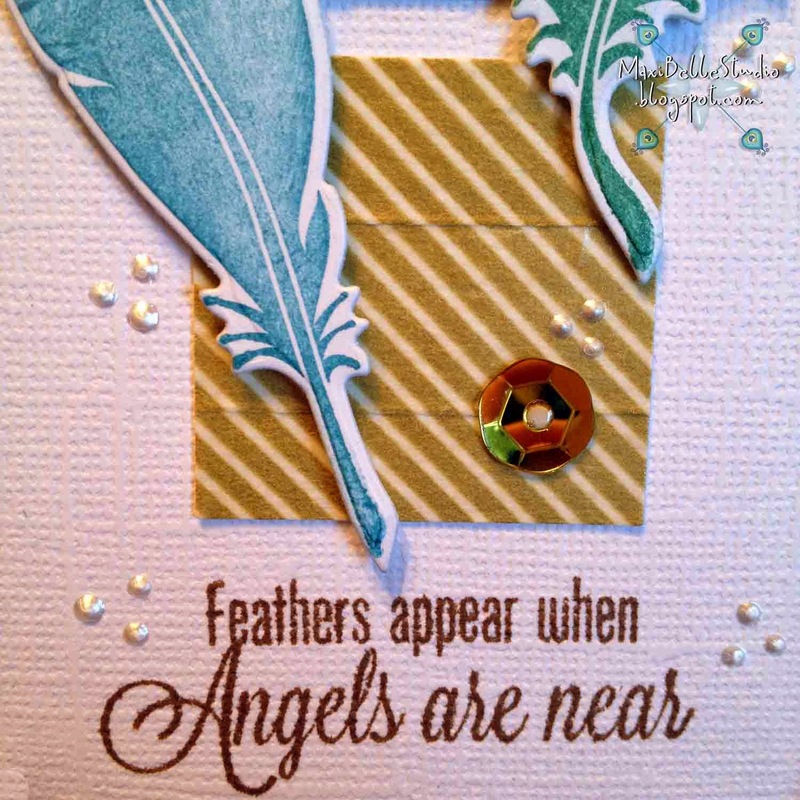 To finish my card, I've used one of the sentiments from the stamp set, layered the feathers with some dimension on top of the squares and added a few sequins and liquid pearls. A quick reminder too that we have a new challenge blog and we have just started our second challenge of 'Flowers'. 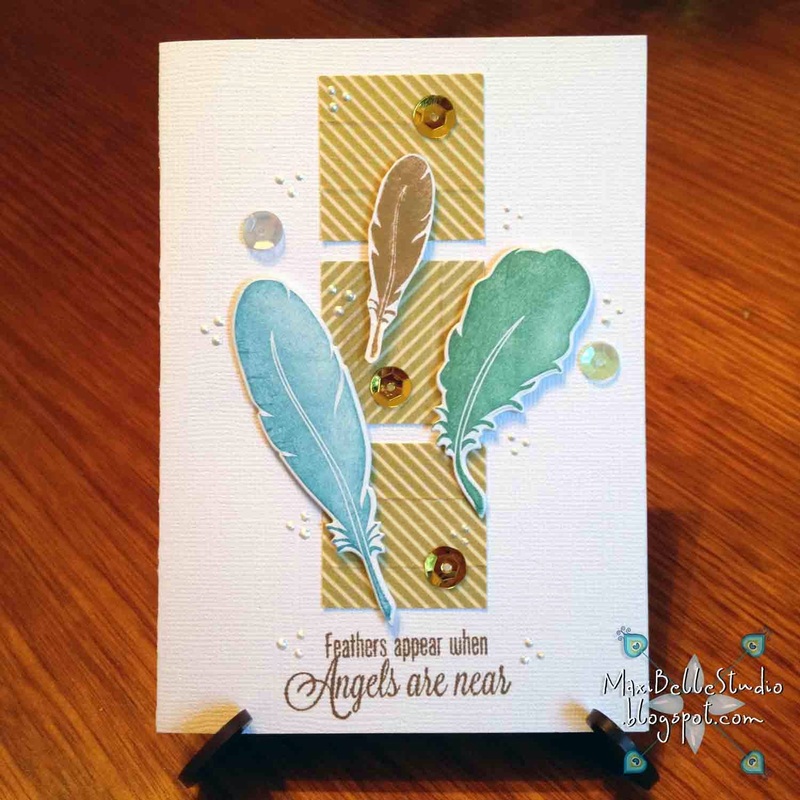 So pop over to our challenge blog to join in the fun and to see more stunning cards created by our inspiration team, who are all in Team B of the challenge blog Design Team. And don't forget to stop by the Dies R Us store to grab this very useful and versatile stamp and die set, or any other die you are after from your favorite brands. Alicia, this is a stunning card! I love the way you kept everything so simple which allowed the beautiful dies to take center stage! And the sentiment is just perfect for a thank you. Great card! Wonderful card! Just love the colors and how simple the design is. Lovely card!